One upcoming Nexus smartphone is a sure thing, the LG Nexus 4, but could Google have partnered with more hardware vendors for multiple Nexus devices this time round? There have been persistent rumors that this could be true, and here we have a purported leak of a Nexus device made by Sony. 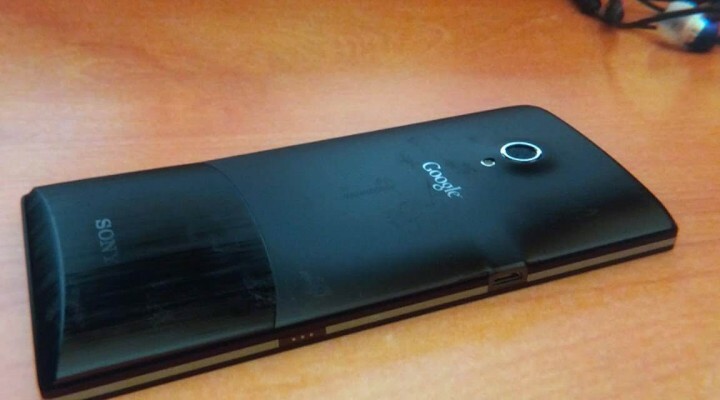 The blurry photos you see here were posted on Picasa and titled Sony Nexus X. We’re seeing a device styled much like Sony’s Xperia line but with on-screen navigation buttons and Google’s logo joining Sony’s on the back, but based on the quality of the photos this could very well be a fake. So what do you think? We’ve seen Google’s augmented reality eyewear in a variety of situations, worn by Google co-founder Sergey Brin at a charity event, in a TV interview with X Lab founder and even donned by skydivers parachuting on Moscone Center during Google I/O 2012 that saw the introduction of Android 4.1 Jelly Bean, but each time it was under then confines of Google’s own universe. Well now Project Glass has broken free and has taken on the catwalk at New York’s Fashion Week. Diane von Furstenberg partnered with Google and the augmented reality glasses were donned by models backstage and on the runway and by members of the production team for the past week. The glasses were also donned by the designer herself who was seen sitting next to Sergey Brin during the DVF show. Google had more hardware surprises in-store during its Google I/O 2012 opening keynote. 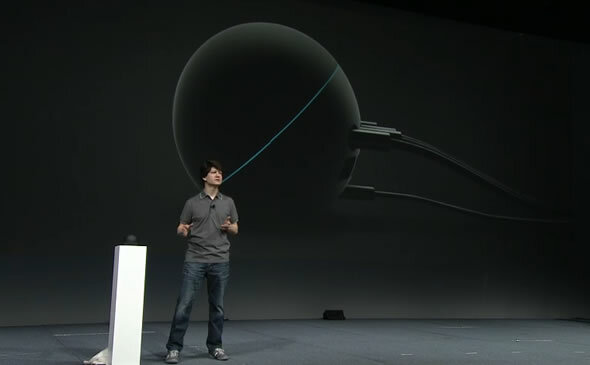 Besides the Nexus 7 tablet, Google is also releasing the Nexus Q. The Nexus Q is black spherical Android powered mini-computer, which Google calls the first social streaming medial player. Inside is an OMAP 4460 SoC, the same one that powers the Galaxy Nexus (full review right here), dual-band Wi-Fi, ethernet, NFC and Bluetooth. It has a built-in audiophile-grade 25 watt amplifier together with optical and digital audio output and a micro-HDMI socket. It’s able to stream music, movies and TV series from the cloud with plenty of social interaction and discovery features. The Nexus Q is available for pre-order starting today for $299 directly from the Google Play Store, though it’s US only for now, and will start shipping in July. No surprises here. 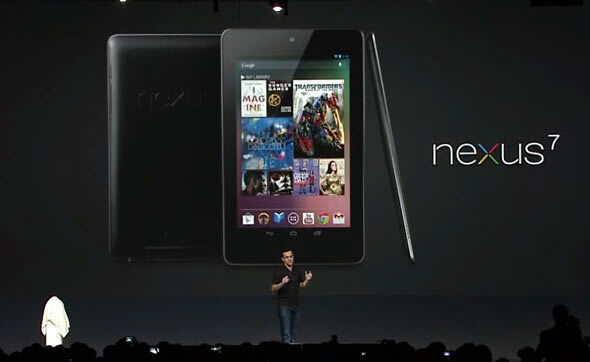 Google has officially unveiled the first Nexus tablet, a 7-inch slate made by ASUS and called the Nexus 7. It will of course launch with Android 4.1 Jelly Bean on-board. The device comes with a quad-core Tegra 3 SoC with a 12-core GPU, 1.2-megapixel front camera and 1280 x 800 resolution IPS LCD display. The asking price is $199 for the 8GB model and $249 to up that to 16GB. You can order it today directly from Google Play and shipping in mid-July together with the launch of Android Jelly Bean. It weighs just 340 grams and comes fully loaded with Wi-Fi, Bluetooth, GPS, gyroscope and an accelerometer. Battery life is a decent 9 hours of video play. The Nexus 7 is a direct stab against Amazon’s Kindle Fire, with Google putting content at the forefront of the experience. Oh and it will ship with the Android Chrome browser as standard. Google is also putting its faith in the Nexus 7 as a portable gaming device, with that 12-core GPU, gyroscope and accelerometer proving a rich gaming experience. 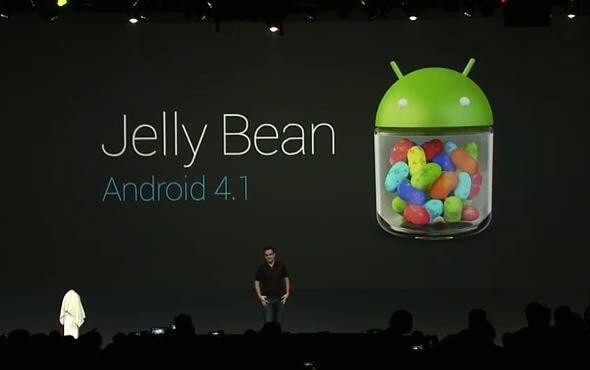 Android 4.1 Jelly Bean has just been announced on the stage of the opening keynote of Google I/O 2012. Mark your calendars, or even better set your automatic reminders. Google’s I/O 2012 developer event kicks-off on Wednesday 27th of June with the usual opening keynote. That’s where the search giant shows us what’s new and exciting in the Android world. This year, the day one keynote will probably see the introduction of Android 4.1 Jellybean and a budget 7-inch Nexus Tablet. We’re sure you won’t want to miss this event, and you can view the entire thing live right here. 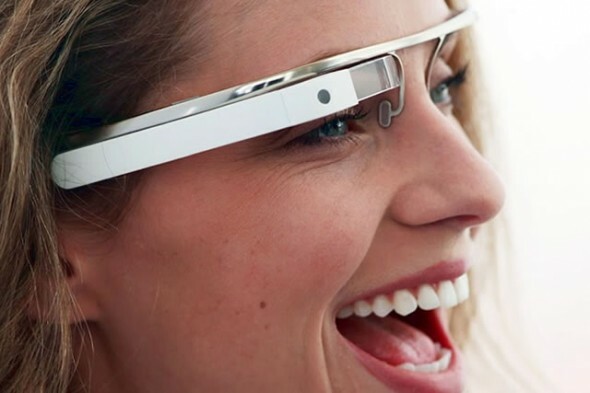 Google is in full-speed research and development mode with its Project Glass augmented reality eyewear project. When Project Glass was first announced we heralded it as the first step to popularizing wearable computing and Google is hard at work devising ways to make them even more interesting. 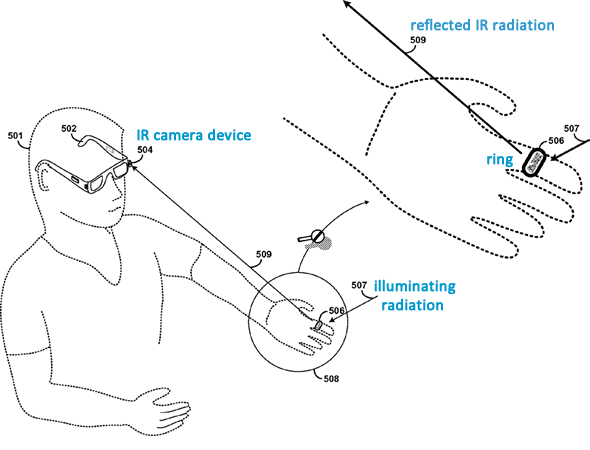 A Google patent that has just been published details how a wearable marker, like a ring, a bracelet or even a decal attached to a fingernail may be used to control a head-mounted display (HMD), i.e. Project Glass. The HMD includes an infrared (IR) camera that detects IR radiation reflected from the wearable marker. The wearer can perform different hand gestures, which will then be tracked by the camera and translated to actions. Pretty nifty huh? We’ve already seen Google’s Project Glass augmented reality glasses in public, worn by Google co-founder Sergey Brin at a charity event, however this is the first time that we are seeing them on video and supposedly in action. 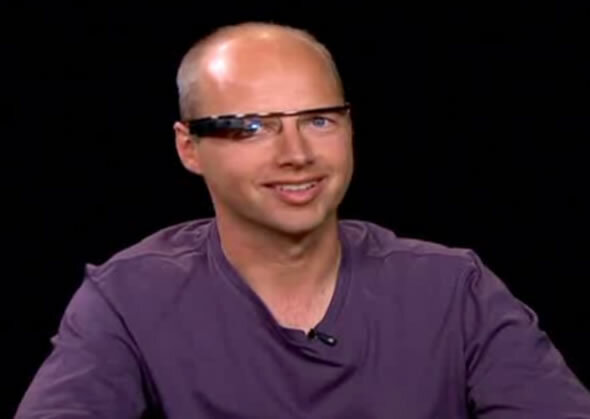 Google X Lab’s (the company’s incubator of fantastical futuristic products) founder and head, Sebastian Thrun, was at an interview with Charlie Rose, wearing his team’s latest prototype. This is of course a pair of Project Glass eyewear. On their previous appearance, Sergey didn’t actively use the headset, but Sebastian has been a bit more forthcoming. When finally the Android 4.0.4 IMM76D update reached GSM/HSPA+ Galaxy Nexus owners, some reported occasional GSM connectivity issues and signal loss. So after only a couple of weeks, Google is already pushing an incremental over-the-air update to Galaxy Nexus devices that maintains the Android version at 4.0.4 but improves the build number slightly at IMM76I. As usual Google isn’t mentioning what this update improves and fixes, but users that have received the update are reporting that it does indeed fix the connectivity bug. Reports are also coming in that there could be some other minor fixes as well, but nothing confirmed yet. While revealing Project Glass, the company’s project to create augmented reality glasses, Google made known that it will be publicly testing devices. Well it didn’t take too long for the first pair of prototype eyewear to to be spotted in the wild. The glasses were donned by none other than Google co-founder Sergey Brin at a Dining in the Dark charity event. 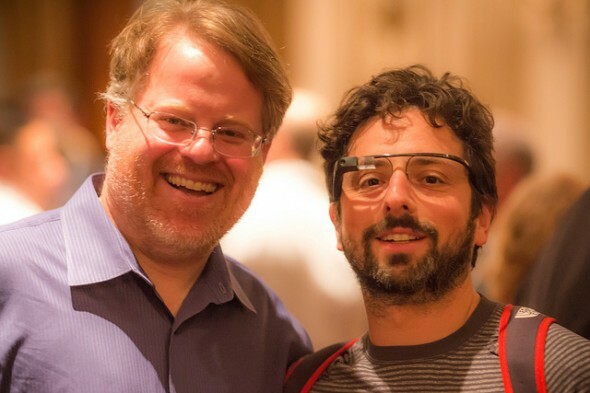 Rackspace’s Robert Scoble spotted Brin wearing them and joined him in the above picture. Robert noted that the glasses looked very lightweight and although Brin was wearing a backpack they seemed to be self-contained. Although Brin refused to lend them to Robert, he did see images flashing in the small transparent glass display. Hold on tight as this could be one of the coolest things in tech. It’s been long-rumored that Google has been working on augmented reality (AR) glasses and the search giant has now officially confirmed the project on a Google+ page. The project named “Project Glass” is run by Google X Lab, the company’s super-cool innovation lab that has been tackling challenging projects like the self-driving car and a space elevator. Project Glass is a first step to wearable computing, putting the information directly in front of your eyes in the form of a see-through display in a slim pair of glasses. Google is now privately testing the technology and has released a number of concept design images for the AR glasses. The clear display is located above the eye, the glasses include a camera and the skeleton sits on the bridge of your nose. Note that Google is supposed to be testing a number of designs, some of which can be worn over prescription eyeglasses. GSM/HSPA+ Galaxy Nexus devices have been gradually receiving an over the air (OTA) update to the latest version of Android Ice Cream Sandwich, 4.0.4. 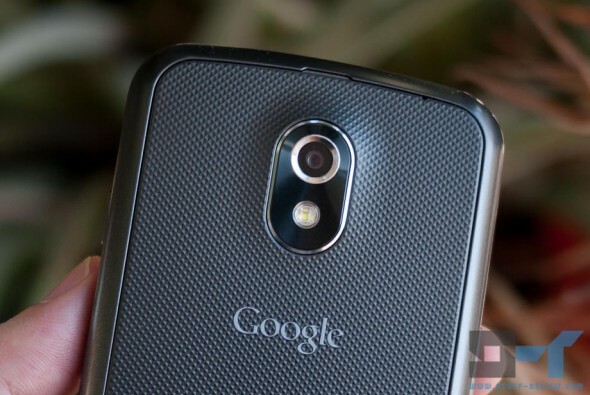 However, many users are still waiting on the official OTA update from Google and pressing the ‘Check now’ button in system updates on their Galaxy Nexus devices doesn’t help much. To get the update immediately, one way is to root your device and manually install the latest version of Android. But if you don’t have a rooted device and don’t wanna go through the hassle and risk losing your data, there’s is an easy way to get your device to automatically update now. 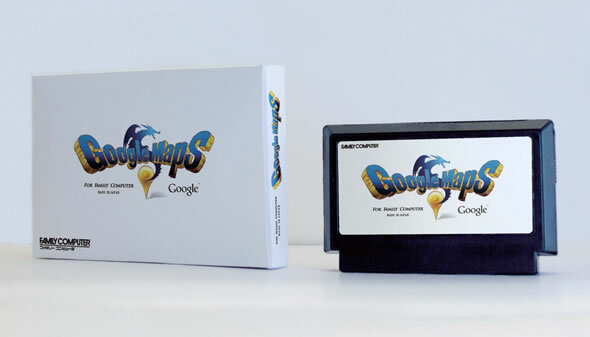 What could be the biggest, and most hilarious, upgrade to Google Maps? Going 8-bit of course! In an ode to console RPGs of yesteryear, and to poke a bit of fun, Google has just added one more view option to Google Maps, called Quest. By selecting this, your neighborhood and the entire world goes 8-bit Dragon Warrior-style. Most famous landmarks are still there, like the Pyramids, the Taj Majal, Mount Rushmore, the Parthenon, Mount Fuji, the Eiffel Tower and there’s even a UFO in Area 51. 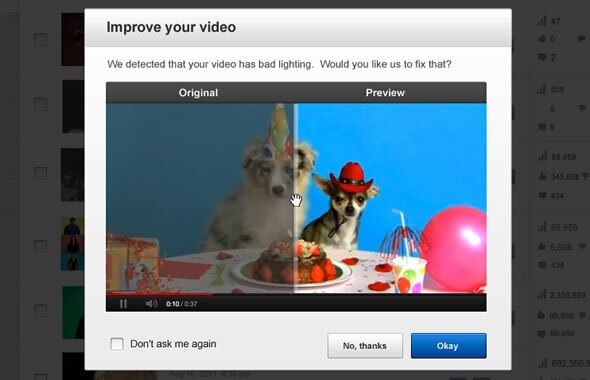 When Google bought a lesser-known digital video technology company called Green Parrot Pictures last year we were promised that some awesome automatic video enhancement technology would be coming to YouTube. It seems Google has been working hard in implementing this image processing technology on YouTube and today we get a look at the first set of improvements.